I recently watched a touching documentary, Tea with the Dames, an intimate chat between four legendary British actresses, Judi Dench, Maggie Smith, Joan Plowright, and Eileen Atkins, all of whom have been knighted. Can you imagine being an adopted child reunited with your birth mother after 60 years? My friend Diane signed up for a genealogy research service, did a DNA test, and found that she had a cousin unknown to her family. As we enter the New Year, we all hope this year will be better than the last one, and new and wonderful things will come to us. We seek to improve our worldly situations and become better people. For a few hours each month, all of these people rise above their social identities and come together as equals on the same playing field. What a model for how good it can get if we let it! 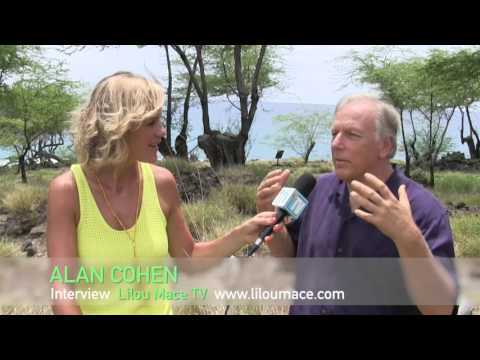 Alan Cohen > What are the Chances? Do you believe that the universe operates at random, or is there a higher intelligence that orchestrates encounters, events, and a stream of destiny? In high school, I looked up to my classmate Rick Brown, the quintessential cool guy. He was the good-looking captain of the football team and president of the student council.